Do you take a lot of pictures throughout the day? Are you the type of individual, who shares those pictures with others online? If you wish to garner more attention and praise from others, you will want to enhance and tweak your photographs, before posting them to your social media account. To help ensure that you’re able to make these adjustments quickly and fluidly, you should consider utilizing Movavi Photo Editor. The software will simplify each tweak and speed up the process, so you can get your pictures posted much quicker. Below, you will learn all about this software and its most notable features. Over the past few years, montages have become far more popular. By learning how to create your own montages, you will be able to turn your wild imagination into hyper realistic images that will stun the viewer. Unfortunately, making a realistic looking montage is far more difficult than you could ever imagine. If you do not have access to the right tools, you will find it nearly impossible. 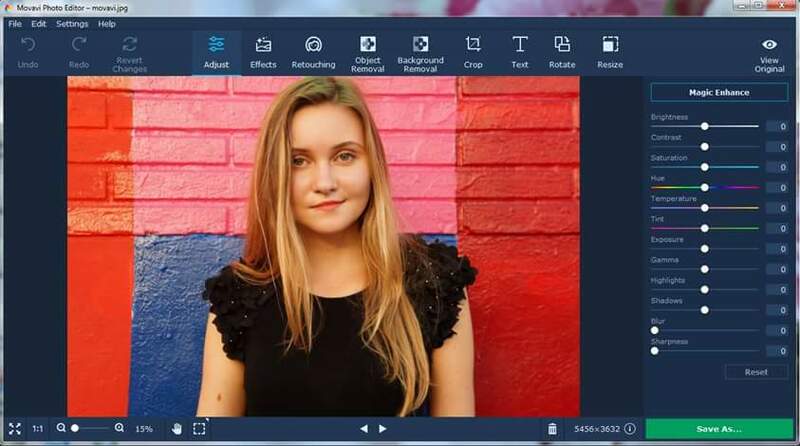 This is why you’ll want to rely on Movavi Photo Editor as your go-to photo montage software. Even if you have no experience what so ever, you will be able to use this software to create montages effortlessly. It is far easier to create a montage with this software, thanks to the Background Removal and Object Removal functions. With a few clicks, you will be able to instantly remove the background and any objects that are standing in your way. The software’s Stamp tool will give you the ability to quickly remove blemishes that have been left behind by the automatic removal feature. Once you’ve got everything perfect, it is time to begin piecing together your montage. Select an image and begin adding pieces of other pictures to the equation. Before you know it, your montage will be complete and you’ll be ready to export it to your computer. Movavi Photo Editor offers a wealth of formats, so you can easily distribute your montage through email, social media and your own personal website. Another awesome feature associated with Movavi Photo Editor is the layout. With this software, you will always be able to find the option you’re looking for quickly and easily. The majority of options can be found at the top of the screen. Click on Adjust, Effects, Retouching, or one of the other features. Once you have, you will be provided with more precise settings in the right-hand size of the window. In the top left hand corner, you will find buttons for Reverting Changes and undoing your last alteration. 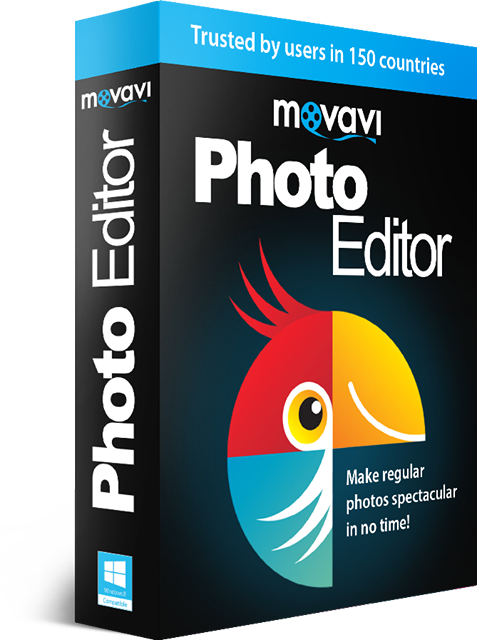 Truly, Movavi Photo Editor’s layout helps to make the software very easy to use. This ensures you’ll be able to create montages faster than ever before! Many people like to get all dressed up and put on tons of makeup, when taking a self-portrait. There is nothing wrong with this, but with Movavi Photo Editor all of that will become a thing of the past. You can take an ordinary photo and completely transform it anyway you want, without perfect your appearance with cosmetics. If you want to change the color of your eyes or even whiten your teeth, you can do so with this amazing program. Do you have a mole that you do not like or freckles that you want to eliminate? Well, all of this can easily be accomplished with this program. There will no longer be a need to spend hours on top of hours, getting prepped up before taking a self-portrait, because you can completely edit undesirable blemishes and imperfections, with Movavi Photo Editor. Professional photography studies will customize their works, with the company name text. Well, you can do the same thing to your images, with Movavi Photo Editor. You can arrange and insert captions into the images, adjust the font, place the created text anywhere on the image and create semitransparent text watermarks. This customizable feature will definitely allow you to claim your newly created images, without needing to verbalize it. Text watermarks are a great way to personalize and customize your images, without any expertise or skills. With Movavi Photo Editor users really do have the option to edit just about any aspect of their photo imaginable. Snapping that perfect photo on a sunny day outside can be very troublesome, because there are so many factors you have to worry about. For instance, a pigeon might fly by right as you are snapping the photo, a random guy might enter the photo, or even a street sign can obstruct the look of the photo. Whatever situation you are faced with, it really won’t matter with Movavi Photo Editor. With this software, you truly have the ability to remove the items from your photo. Once you’ve finished, it will look like they were really never there. Have you always wondered what you would look like standing by the Eiffel Tower or Empire State Building, but not got a chance to visit these iconic landmarks? Well, with Movavi Photo Editor, you can make that dream a reality. The photo backdrop option gives users the ability to completely change the background of any photo. If you want to make it look like you are walking on water, then you can do so with this amazing app. When it boils down to it, Movavi Photo Editor is very impressive. It is enormously versatile and can easily accommodate almost anyone. If you want to create beautiful montages, this is the software you’ll want to use! Quite amazing app. Just Downloaded it and trust me, it works perfectly!